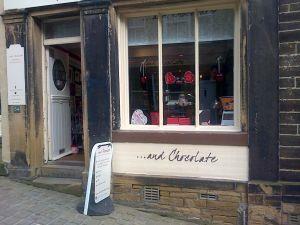 The exciting new shop selling fabulous chocolates on the historic Haworth Main Street. Chocolates for sharing with your friends, to indulge yourself or to enjoy with the kids. Chocolate stimulates endorphin production which gives a feeling of pleasure and contains seratonin, an anti depressant, and of course it tastes so good!